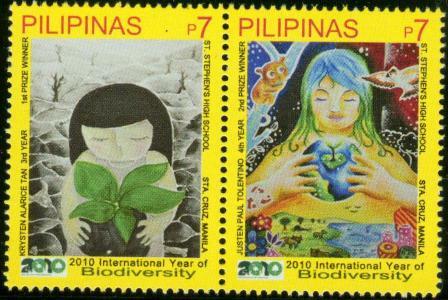 The Philippine Postal Corporation (Philpost), in partnership with the Department of Education (Deped) and the United Nations Information Centre (UNIC), successfully hosted “The Importance of Protecting Earth’s Natural Resources” ON-THE-SPOT POSTAGE STAMP DESIGN CONTEST last September 7 at the lobby of the Main Post Office Building in Liwasang Bonifacio, Manila. The contest, which was designed to create awareness among the youth of their role in the climate change campaign of the government, drew a total of forty participants from various high schools in Metro Manila. Ms. Faith Bacon, Representative from the Lopez Group Foundation. 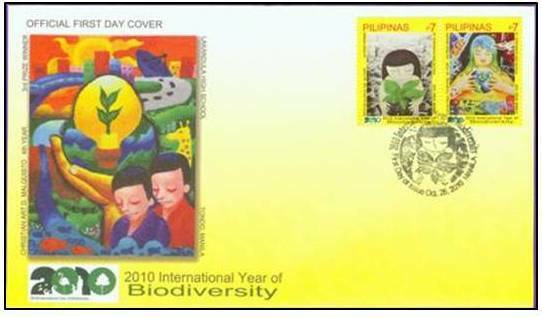 The awarding of winners was held on October 8, 2010 at 10:00 AM, at the lobby of the Main Post Office Building, Liwasang Bonifacio, Manila, in line with the celebration of World Post Day on October 9.